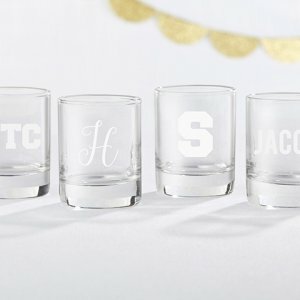 Kate Aspen's Engraved Shot Glass is a charming, versatile favor that can also be used for decor. 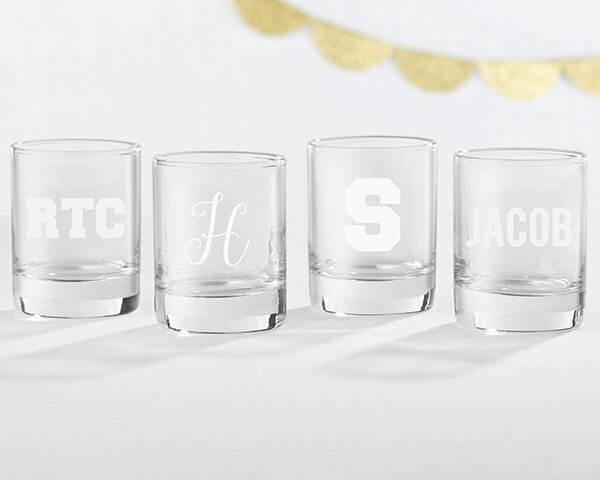 With the personalization options that include an engraved monogram, name or initials, these shot glass favors are perfect for bachelor parties, bachelorette parties, boozie birthdays, weddings and a variety of other celebrations. 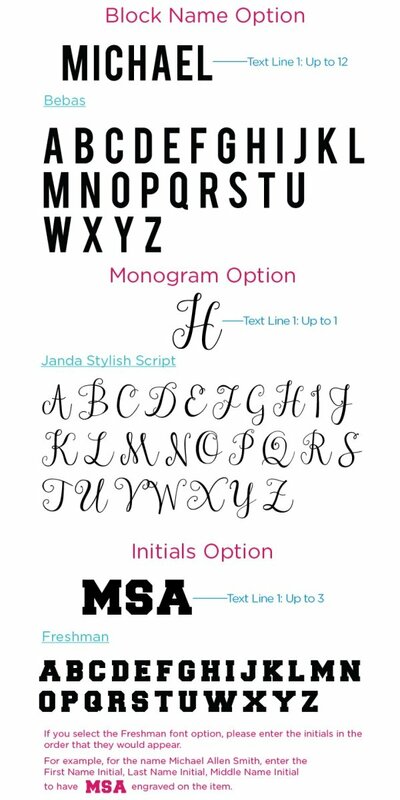 When not be used to toast the guest of honor, the glasses can be used as votive or tea light candle holders.